« Destination Wedding in Dubrovnik! Planning the perfect vacation involves making a lot of choices. You can make your travel a lot easier by outsourcing it to a tour group. Take out the hassle of having to pinpoint exactly where you will go, what you will see and what your schedule will be like. 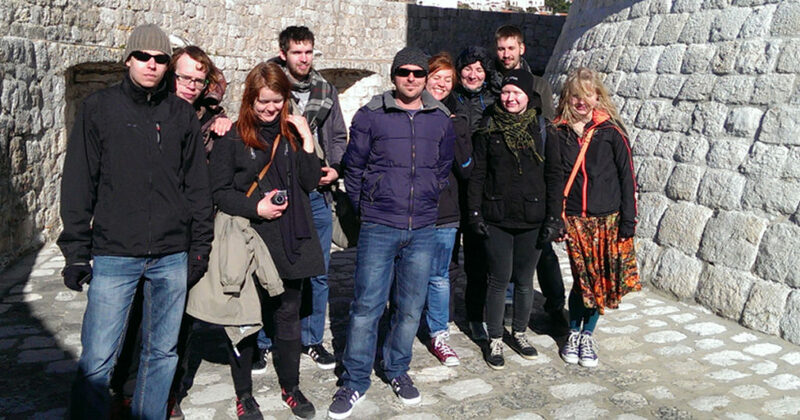 When you come to Dubrovnik and Tour the Game of Thrones, we take the guesswork out of all your sightseeing options. We plan it for you. If you still aren’t sure, read on to decide if this is the best approach for you. Tour guides can offer a safer experience, as was as a way to help you navigate. In some countries where no one speaks much English, this makes ordering food and finding places much easier. You get your own translator who can help you communicate both in terms of language and cultural practices. With their assistance, you will be able to avoid getting into sticky situations. With a great guide, you will have an easier time learning about complex or overwhelming attractions. You have a certain level of comfort with a guided tour. This applies to accommodations as well as how you feel. If you are with a tour guide, at least you can embrace the experience with others there to support you. If you don’t have a ton of time to see the sights, using a tour guide will help you get the most out of your trip. For more control over your schedule, hire a private tour guide instead of going with a pre-set tour. Think about what kind of experience you want from your trip before you jump into searching for a guided tour. Then, if you decide to use a tour company or guide touring your trip, make sure you are using someone legitimate. Check out reviews for the service on their web site and third party sites. Confirm the cost, including taxes and fees. You want to get your money’s worth so don’t be afraid to ask for an exact breakdown of the planned schedule of activities. Guided tours have their pros and cons, but you don’t have to be a camera-toting tourist or a loner in a strange land. Choose the experience that sounds good to you, and will make you feel comfortable wherever you may roam. At Tour the Game of Thrones, we are a company that specializes in showing you where all the amazing scenes of the beloved television show were shot but we also know Croatia. We are happy to take you on a customized tour that will give you facts and information about the show but also show you this amazing country and all it has to offer. If you are interested in hiring a private tour guide for your visit here, consider Tour the Game of Thrones. We are certified and our guides are not only versed in all things Croatia and Game of Thrones, they are also fans! Our day with Tom & Robert was absolutely amazing! My wife & I were enthralled the entire tour. From ancient history to modern-siege of Dubrovnik to GoT all in one place! Even my 9yr old had a hard time pretending she was bored! So much history and culture. Spending the day with Tom & Robert was so comfortable & fun. It was like spending time with old friends showing us around their amazing home town. It is rare to have such outstanding guides. We now want to go back next year and visit with Tom again!